These two towers are the most well-known icons and proud symbol of the country. Besides being among the top ten highest towers in the world, KL Tower is also known to be the highest tower in South East Asia. 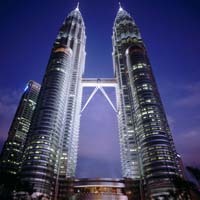 KLCC Twin Towers, also known as Petronas Twin Towers, is considered to be the highest topped-out building in the world. Flanked by key places of interest and complemented with easy access to Kuala Lumpur, Royale Chulan Damansara Hotel in Petaling Jaya is surrounded by comfort and convenience. 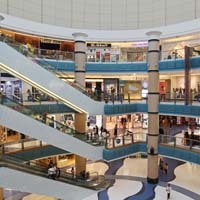 The hotel’s location in Mutiara Damansara, Selangor is a 45-minute drive from Kuala Lumpur International Airport (KLIA), 20-minute drive from Sultan Abdul Aziz Shah Airport in Subang, a mere 15-minute drive from downtown Kuala Lumpur and just a stone’s throw away from shopping malls such as The Curve, KidZania Educational Theme Park for Kids, IKEA Home Furnishings, Ikano Power Centre, e@Curve, and Tesco Hypermarket.